NEW YORK, DECEMBER 23, 2010 – After his latest failed relationship, Duncan has hit emotional rock bottom. He just can’t understand what, or who, has caused all of his relationships to fail. Was it something he did … or didn’t do? In his final attempt to determine where it all went wrong, Duncan takes a fantasy ride through his last five girlfriends. Guided by his memories, our 30-something protagonist makes his way through Duncan World, a surreal amusement park where each ride represents a failed liaison – and they become increasingly scary. He’s pretended not to care about exes who haven’t quite disappeared, given disastrous fashion advice, elaborately faked a “chance” encounter, and even been the first in the couple to utter those three special words. Nothing seems to work out right, but that’s all about to change. 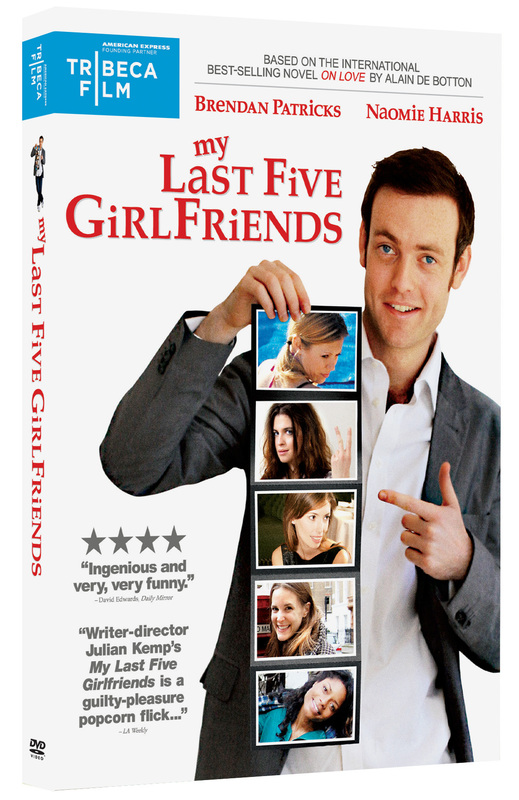 Though its themes of love and relationships are universal, My Last Five Girlfriends is anything but ordinary. Julian Kemp’s take on Alain De Botton’s international bestseller On Love is a unique and wonderful story about love and our addiction to it. Its clever and innovative structure, like relationships themselves, can veer into unexpected places. 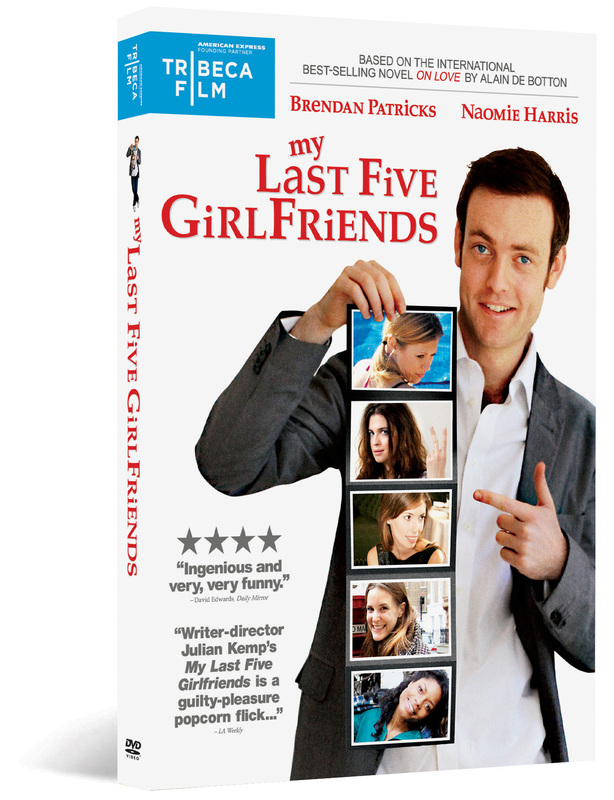 Brendan Patricks (BBC America’s Gavin & Stacey) handles Duncan’s roller-coaster journey with delicious wit and charm, and each of his five leading ladies bring interesting idiosyncratic nuances to their characters in this poignant and whimsical tale. The vivid supporting cast includes Michael Sheen (Frost/ Nixon), Naomie Harris (Pirates of the Caribbean) and Jane March (Clash of the Titans). 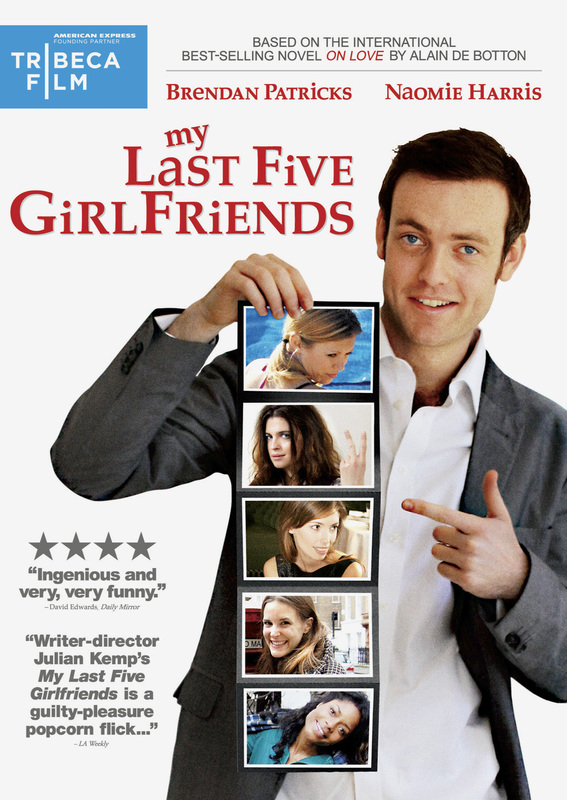 My Last Five Girlfriends is one of a selection of Tribeca Film titles being distributed by New Video in 2010 and 2011. Tribeca Film is a distribution platform acquiring and releasing films year-round and is supported by Founding Partner American Express. The films range from award-winning dramas and revealing documentaries to uproarious comedies and stunning animated features, many of which premiered at the 2010 Tribeca Film Festival prior to theatrical runs in New York and Los Angeles. The films from the Tribeca Film slate were also available on video on demand in 40 million U.S. homes simultaneously with their Festival screenings through relationships with leading telecom, cable and satellite providers. New Video plans to release one to two titles per month leading up to the 2011 Tribeca Film Festival. Tribeca Film is a comprehensive distribution platform dedicated to acquiring and marketing independent films across multiple platforms, including video-on-demand, theatrical and home video. It is an initiative from Tribeca Enterprises designed to provide new platforms for how film can be experienced, while supporting filmmakers and introducing audiences to films they might not otherwise see. American Express continues its support of Tribeca and the independent film community by serving as the Founding Partner of Tribeca Film. New Video is a leading independent privately-held distributor bringing you quality entertainment via DVD, Blu-ray, download and streaming platforms and cable VOD. We are the proud home to some of the most prestigious names in the industry like A&E®, HISTORY™, Lifetime®, Major League Baseball®, Scholastic Storybook Treasures™, Arthouse Films and Tribeca Film as well as our own lines Docurama Films®, and the newly launched Flatiron Film Company®. Since 1991, our mission has been to unearth first-rate content and deliver them to audiences through traditional platforms and evolving new media. We selectively handpick our library while collaborating directly with our brand partners and filmmakers to cultivate a superior product and fresh new viewing experiences for our audiences. We are headquartered in New York City, but have an international presence in 45 territories.